Throw Trucks With Your Mind is a video game that uses NeuroSky's Mindwave headset to give you telekinetic super-powers controlled with your thoughts. 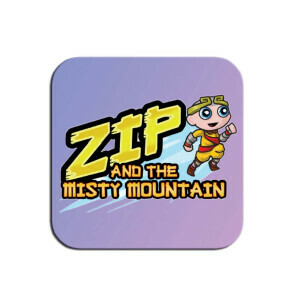 In this game, you will crush your enemies by throwing trucks at them with your mind! This game uses Unreal Engine 3 to deliver a modern gaming experience with mind-blowing, innovative gameplay. The Throw Trucks with your Mind Battle Set includes 2x NeuroSky MindWave Mobile 2 EEG Headsets and 2x App License so that you are able to play against each other. The game uses standard first-person shooter controls, where you move around with WASD, aim with the mouse, change your powers with 1-8 or the mouse wheel, jump with the space bar, and turn your power on with the left mouse button. This is all completely configurable from the settings screen. The blue bar is how calm you are and the red bar is how focused you are. 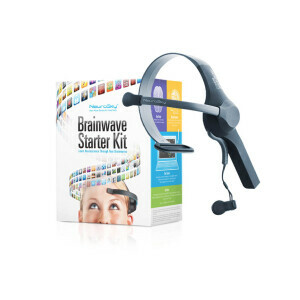 This is read from your brain with the NeuroSky MindWave headset. These values control how strong your powers are. Blue powers are fueled by calm. Red powers are fueled by focus. The act of focusing is fundamentally about giving all of your attention to one thing and blocking out all distractions. The act of being calm is blocking out all stressors and relaxing. Your powers will not work directly on other players, so you have to find ways to throw things into them. 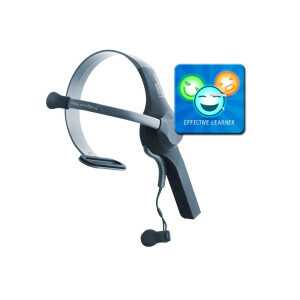 Flexible rubber sensor arms and rounded forehead sensor tip, T-shaped headband, and wider ear clip contacts make MindWave Mobile 2 our most comfortable EEG headset yet. The MindWave Mobile 2 is the world's first EEG headset that can be used with Mac and PCs as well as all Apple iOS and Android platforms (smartphones, tablets etc.). It is therefore a truly mobile EEG headset. It features sensors on the forehead and at the earlobe to measure EEG data (electrical activity of the brain). All required software can be installed directly to a PC, laptop, smartphone or tablet. In basic terms, games like this are about simple wish fulfillment: remember growing up when you really wanted psychic powers? Maybe you just wished you could make your sister explode after she trashed your Star Wars figurines or maybe you really admired comic book heroes like Professor X or maybe you were way too into Carrie-whatever your reasons, we've all imagined ourselves like this at one time or another. Videogames up until this point have played lip service to these power fantasies with all kinds of psychic mayhem. But there's always been a missing element. After all, holding B isn't really the same thing as thinking really hard about something. Essentially, no game has ever demanded your mind's direct participation to create the psychic powers occurring on screen. Until this. 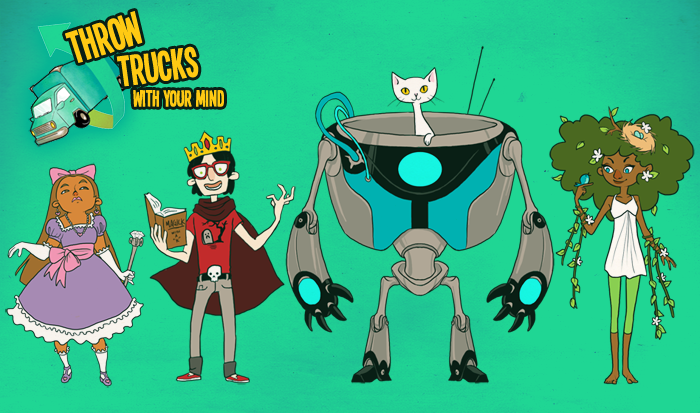 The opportunity to crush your foes with your mind over the internet! Throw Trucks With Your Mind is currently available for Windows XP and up.